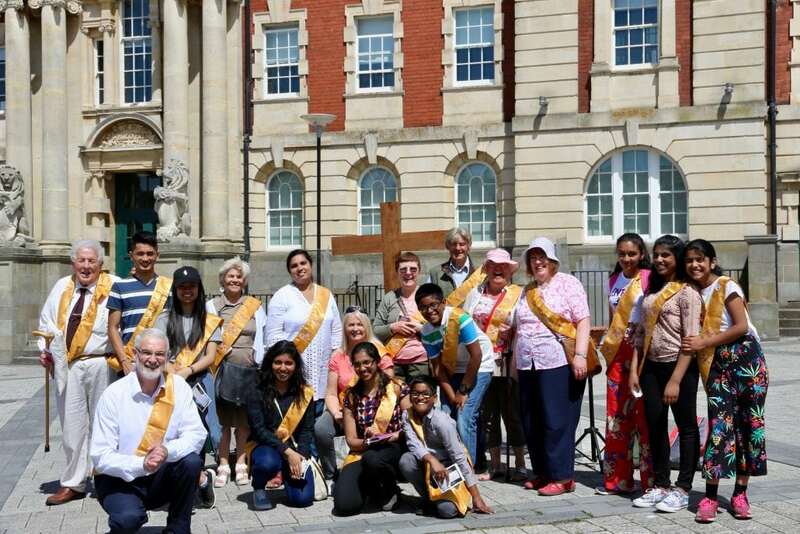 Last Saturday, 21 members of our diocese broke new ground by going on to the streets of Barry and Newport to invite passers-by to light a candle, say a prayer and try coming to Mass next Sunday. The response was overwhelming – in the course of under three hours, about 300 passers-by accepted the invitation to light a candle. Nearly 100 wrote down a prayer intention. Two ladies spent a long time in prayer by the candles, but then went out of their way to find the person they spoke with first and said “thank you so much for stopping and inviting us”. Others too said that they would be going to Church next week. The mission was led by Madeline Page, Evangelisation and Education Officer for the Archdiocese. Madeline said, “To the best of our knowledge, this is the first event of its kind, with Catholics inviting people to light candles on the high street and write a prayer. All those who took part thought it was an amazing day and are eager to do it again!” Half the volunteers were young people from the Syro-Malabar Community and Couples for Christ; they were supported by adults who have worked with the Diocesan Evangelisation Team since it was set up in 2012. This street outreach was one of three strands in a wider programme of evangelisation within the Archdiocese. Over 50 churches across South Wales have been distributing “invite a friend” postcards at Mass this month, and on Sunday 1st July the participating churches will give everyone who comes to Mass a beautifully illustrated book, with the artwork of Elizabeth Wang, all the words needed to follow that day’s Mass, and a commentary allowing those new to the experience of Mass to understand what is taking place. 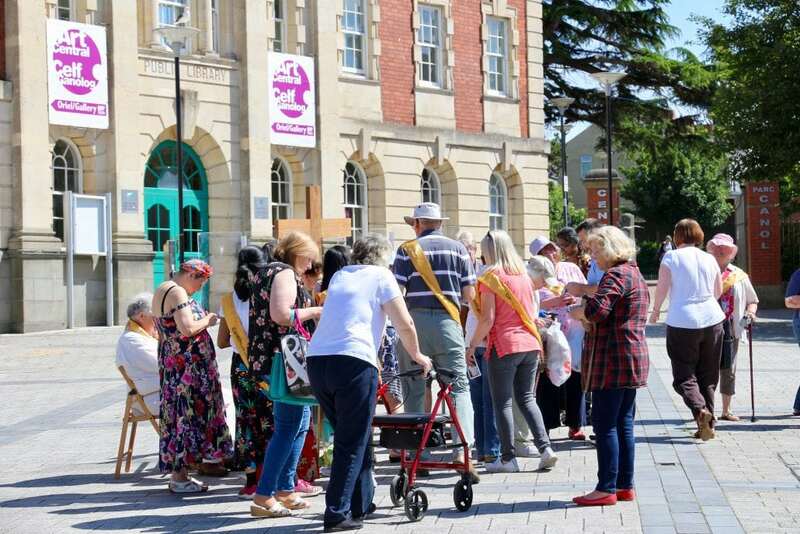 Some Catholics will be joining hundreds of Anglican and Free Church volunteers in a conversation-focussed street mission this week as part of the New Wine Cymru “Mission to Wales”, which will also invite people to try church on July 1st. The two towns were chosen because the parish of St Helen’s in Barry has a strong missionary culture, with a summer programme of door-knocking in the local community, while the parish of All Saints in Newport is just beginning to establish its own evangelisation team.